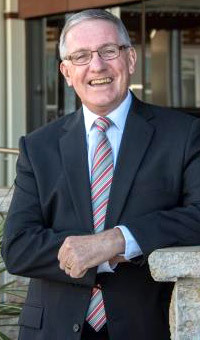 South Burnett Mayor Keith Campbell has refuted suggestions a $767,000 tax refund claim for four years of overpaid fuel credits was caused by Council incompetence. The tax refund claim was announced at the Council’s January 16 meeting and is currently being assessed by the ATO. On Monday, Mayor Campbell said the refund claim arose after Council’s auditors KPMG were engaged to conduct a review of the Council’s Fuel Rebate system. The review was initiated by the Council as part of an ongoing examination of its purchasing systems, and was separate to KPMG’s annual audit of Council’s finances. “KPMG were asked to conduct this review using business tools not available to Council,” Mayor Campbell said. “SBRC initiated the review to improve the process of the Fuel Rebate system. “Finding a consultant with a user-friendly business tool helped Council better analyse the fuel rebates across a number of different locations and departments that Council operates. The Mayor said similar procurement reviews had already resulted in significant savings. An earlier review of Council’s electricity usage and tariffs had resulted in Council adopting a different approach which produced ongoing savings of about $180,000 per year. “These reviews have been facilitated by Council in changing how we are doing business, and filling some former traditional roles with dedicated/professional in-house procurement personnel,” Mayor Campbell said. “The processes have been improved. “Yes, it resulted in a windfall through Council challenging the methodology of previous submissions. “Remember, though, the final outcome is still the subject of an ATO review and assessment. The Mayor said the Council was looking at any opportunity to trim down its operational costs in a responsible manner to lessen the burden on ratepayers. “Getting expert advice in order to operate in the most sustainable manner possible is – and will continue to be – our approach,” he said. When I read this article I needed a re-read, and I must respectfully ask: Are we ratepayers really expected to swallow this attempt at excusing the inexcusable? What really is this fancy magic tool that KPMG has which the Council does not? If the review was really asked for, and if more than three-quarters of a million dollars might be able to be shaken out, why not go back 10 years or so? Now consider this – there is no guarantee of the money being returned but already 400 big ones have been spent or are planned to be spent! As I stated in an earlier comment, all farmers go through the diesel excise process. Some are relatively simple and some are very complex. So why on earth is the Council failing on this necessary job? The Mayor then goes on about electricity tariffs etc., again praising the Council. Again, some farmers have complex use structures with different tariffs needed. The staff do need to cope, that’s why we pay them isn’t it? This isn’t magic. Amalgamation sure did not fix anything. How sad! We were told it would be the bees knees. It really pains me to say that my confidence in Council has waned somewhat in recent years and trying to make lame excuses doesn’t really cut the mustard.